Fox News’ morning show Fox & Friends continues to cover up the growing number of scandals plaguing Environmental Protection Agency chief Scott Pruitt, giving the story less than two minutes of coverage throughout the week. Pruitt’s ethics problems have been steadily mounting in his short time as EPA administrator. In the past couple of weeks, it was revealed that the EPA head paid a below-market price to rent a condominium co-owned by the wife of an energy lobbyist, had his taxpayer-funded 24/7 security detail accompany him on personal trips to Disneyland and the Rose Bowl, looked into leasing a private jet for an exorbitant cost, exploited a loophole to bypass the White House’s rejection of massive pay raises for two close aides, may have violated ethics rules by having his staff carry out personal tasks for him, and abused a loophole in the Safe Drinking Water Act to hire loyalists and ex-lobbyists. 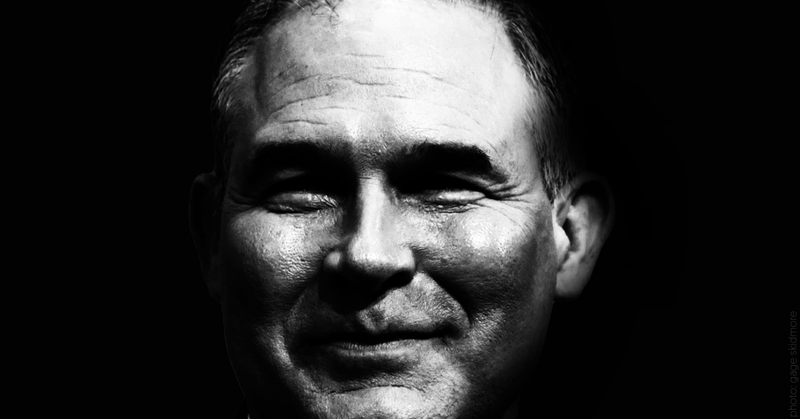 And just yesterday, news broke that Pruitt reassigned or demoted at least four officials who raised concerns about his behavior, had not provided ethics officials with the full details of his living arrangement, and lied about his landlord's lobbyist husband having clients with business before the EPA. The new reports have thrust Pruitt into the spotlight, but Fox & Friends did not mention Pruitt once on Friday. The morning show granted just one minute and 53 seconds of coverage to Pruitt’s ethics scandals from April 2 to April 6, relegating the story mostly to short headlines segments. Notably, the day after Fox News aired a wide-ranging interview with Pruitt, Fox & Friends spent a mere minute and a half covering the story while rival networks covered the interview extensively throughout the day. Today, a day after news broke of more scandals, President Donald Trump’s favorite morning show ignored the story entirely, opting instead to attack rapper Jay-Z for his comments on racial justice and recycle Trump’s lies about immigrants voting. Fox & Friends even interviewed two Trump administration officials, Mercedes Schlapp and Peter Navarro, and failed to ask them about Pruitt. In fact, throughout the week, six Trump administration officials appeared on Fox & Friends; none of them were asked to comment on Pruitt’s likely ethics violations.